Sometimes it seems like just yesterday that I was a 22-year-old fresh out of college and professional internships excited about the possibilities ahead for my career, personal path and how I might be able to have an impact on my community and maybe even the world. Then there are days like the recent PIQUE Young Leaders Summit when I am jolted back into the reality that nearly 30 years have passed since I was beginning my journey and my role and perspective is now a bit different. Being in the room with 250+ young professionals who are full of energy and looking to achieve greatness for themselves and their communities is exciting and reinvigorating. Perhaps even more so for those of us who have now passed 50 and recognize that part of our role moving forward must be to help ensure that the next generation of leaders is prepared and empowered to make their mark. The path for each young professional will certainly be different. My personal journey included becoming a college Sports Information Director at 22, serving as president of the Junior Chamber of Commerce (Jaycees) in Farmville, Virginia at 26 and then making a complete career change in my mid-30s. I am blessed now to lead an organization that works to build the collective capacity of the Upstate while also serving on several volunteer boards and still finding time to coach Little League and be engaged in the lives of my quickly growing children. I have been able to balance career and personal enhancement with community engagement throughout most of my career, but i can be challenging to handle both when just getting started on your personal journey. Taking the political nature of the topic out of the equation, the young people from Marjory Stoneman Douglas High School have shown very clearly that young people with passion and interest can have an impact on their community, and the world, today. Sadly, their move into what will likely be lifetimes of advocacy and engagement resulted from a tragedy. What we must create for all aspiring young leaders are avenues where they feel compelled to be part of impacting current and lasting decisions in their communities not just when personally impacted, but because their perspectives matter and are valued. 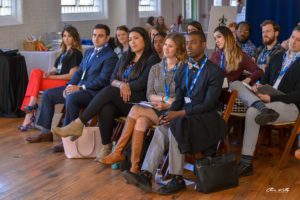 We are fortunate in the Upstate to have over 25 young professional groups organized through many of our Chambers of Commerce, United Ways and other organizations that recognize the value of giving young professionals a platform and opportunity to engage in both professional development and in being part of making our communities better. The PIQUE: Young Leaders Elevating the Upstate event was started by TATT in 2016 as an annual opportunity for representatives from these groups to engage with each other as well as more “seasoned” leaders from across the region. The 2018 event was another great success where our young leaders had the chance to not only build relationships, but also discuss issues like global leadership and creating a culture of inclusion. 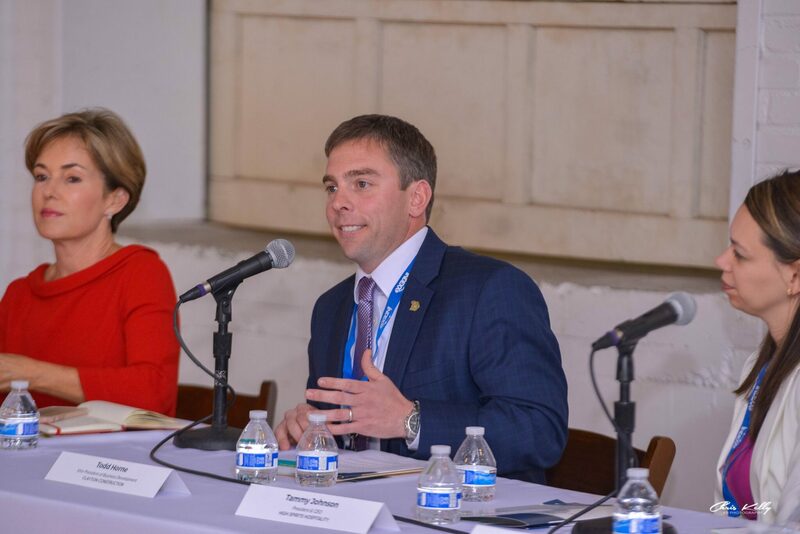 There is no question in my mind that the young professionals of today and tomorrow are going to play a critical role in helping the Upstate continue our upward trajectory and be universally recognized as a leading place to live, learn, do business and raise a family. Giving them opportunities like the young professionals groups and PIQUE to build their knowledge base and connections is critical, but it is ultimately not enough. We must also empower them to take the wheel and lead the efforts in creating and owning the decisions that will impact our region for years to come. With the passion, knowledge and vested ownership, there is little doubt that they will continue to elevate the Upstate for years to come. For more about PIQUE and for a list of the young professional groups in the Upstate go to www.thePique.org.